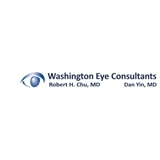 Washington Eye Consultants (Rockville) - Book Appointment Online! Your Health is What Matters to Us Our professionally-trained staff is happy to welcome you to our practice. You can learn more about Dr. Chu and staff members on the pages of this website. You'll also find our office hours and other important information and services provided. We strive to provide the most caring and professional vision care experience. Please feel free to contact us if you have any questions about our practice or about our scope of care. Our office staff is fluent in Spanish and Chinese (Mandarin). Dr. Chu is bilingual and speaks fluent Chinese (Mandarin).